The Plateau State Police Command is set to clamp down on owners of illegal arms across the state from April 30, 2018. 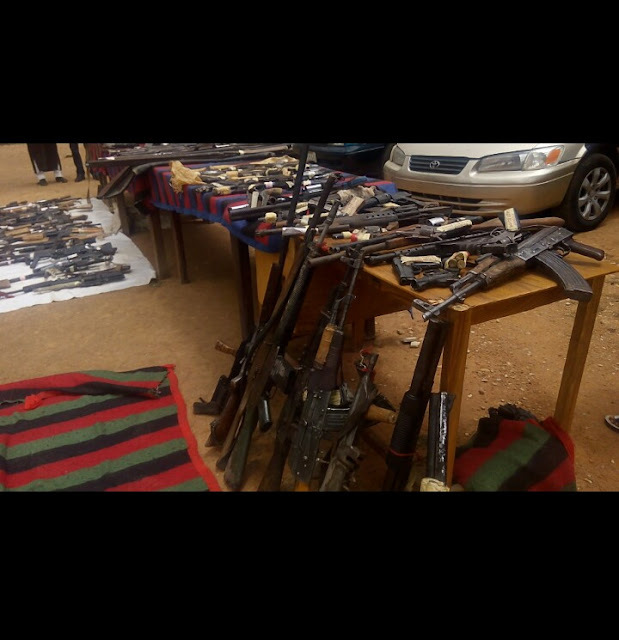 The State Police Commissioner, Undie Adie addressing newsmen in Jos on Friday said the exercise is in compliance with the directive by the Inspector General of Police, Ibrahim Idris to all State Commands nationwide to mop up illegal arms for a safer Nigeria. Mr. Adie said already, the command has given a "window period" for the voluntary submission of illegal and prohibited firearms by members of the public which elapses on April 30, 2018. So far, 171 illegal firearms, 795 rounds of live ammunitions and 131 cartridges have been mopped up from different locations through voluntary surrender, the CP said. Details of those arrests in our next news post.